Tesla hopes to convince the trucking industry that it can build an affordable electric trucks to compete with diesel trucks. WASHINGTON - United Parcel Service Inc. said on Tuesday it is buying 125 Tesla Inc. all-electric semi-trucks, the largest order for the big rig so far, as the package delivery company expands its fleet of alternative-fuel vehicles. 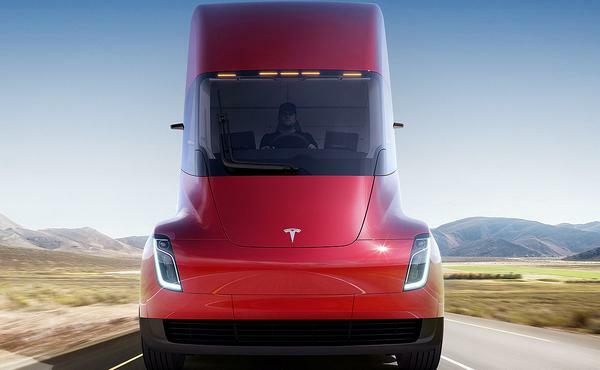 The Tesla trucks will cost around $200,000 each for a total order of about $25 million. UPS expects the semi-trucks, the big rigs that haul freight along America's highways, will have a lower total cost of ownership than conventional vehicles, which run about $120,000. Tesla has received pre-orders from such major companies as Wal-Mart, fleet operator J.B. Hunt Transport Services Inc. and food service distributor Sysco Corp. Prior to UPS, the largest single pre-order came from PepsiCo Inc, for 100 trucks.